Since history tends to repeat itself, I thought I would share an outrageous, but somewhat comical, swindle from 1925 involving the sale of the Eiffel Tower. You have to wonder if someone would try this again someday, perhaps using the internet to entice victims. The scheme was hatched by Czechoslovakian born and American trained con-artist, Count Victor Lustig. Lustig read a French newspaper article that said the Eiffel Tower needed repairs. The story noted that the huge iron monument, built in 1889, was in desperate need of maintenance and repairs that would be quite costly. The article suggested that, to save money perhaps, the Eiffel Tower should be torn down rather than fixed. After reading the article, a bell went off in the Count’s head as he recognized an opportunity to pull a fast one. Acting with an accomplice, Lustig appointed himself “Deputy Director General of the Ministere de Postes et Telegraphes” and created fake government stationary listing his name and fake title. Operating from a prestigious Paris hotel room, Lustig drafted letters to several of the largest scrap metal dealers in France. He explained he was a government official in charge of public buildings. He invited the industry leaders to a secret meeting in his hotel suite to discuss the possibility of receiving a government contract. His letter was purposely vague to tweak their curiosity, and the potential victims fell for it. 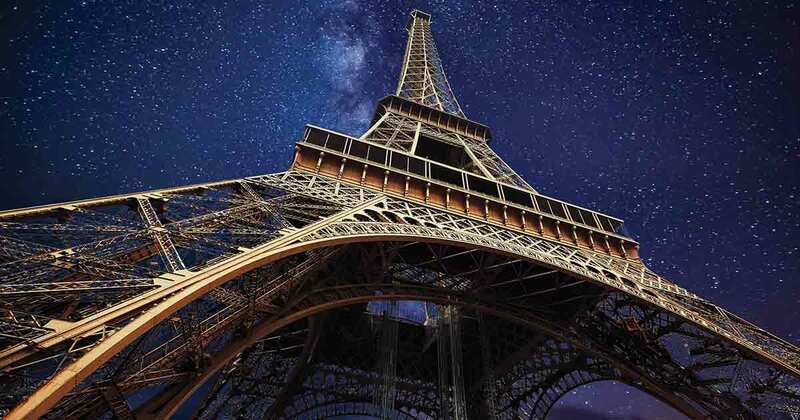 At the meeting, Lustig explained that a decision was made to tear down the Eiffel Tower. Tearing down the Tower, he explained, must to be kept secret because the government was afraid of public reaction. After the Tower was scrapped, Parisians would accept the idea because of the huge tax savings they would receive by not fixing it. Once scrapped, he said, the Tower would yield 7,000 tons of high-grade iron. He encouraged the metal merchants to submit sealed bids for the job. Within days Lustig picked his mark, a self-made entrepreneur named Andre Poisson. Poisson was promptly notified that he won the contract and invited to a second meeting to hash out details and complete the deal. The meeting was again scheduled at the plush Paris hotel. During this meeting, the cagey con man explained to Poisson that although he won the contract, there was a slight hitch. You see, Lustig explained, the life of a public servant is not easy. Government officials, such as himself, were expected to dress and entertain dignitaries on a salary that was much too low to accommodate the task. Poisson quickly recognized that Lustig was fishing for a bribe and politely obliged with a handful of francs. He also gave Lustig a check for the agreed upon amount to purchase the Eiffel Tower. He left the hotel room clutching a phony deed to the Eiffel Tower in his hands. Lustig and an accomplice quickly left Paris for Vienna, Austria, to live the good life on Poisson’s money. Ironically, after Poisson realized he was duped, he didn’t notify the authorities. It was later surmised he was too embarrassed to report the swindle. While in Vienna, Lustig and his cohort regularly checked the Paris newspapers to see if the crime was reported. When nothing showed up after a month, they realized Poisson never went to the police. Instead of accepting their good fortune, they returned to Paris to pull the caper again. They ran the scam two more times before finally getting caught after a victim got angry and reported the fraud. The press published exposes about the Eiffel Tower hoax, and Lustig was run out of France. He returned to America and continued a life crime, eventually being sentenced to prison after becoming involved in a variety of scams including counterfeiting American dollars. If there is a moral ending to Count Lustig’s story, it is this. If you choose a life of crime, you may get away with your scam for a while, but sooner or later you will be caught and wind up behind bars. And by the way, Lustig wasn’t really a Count. He made that up, too! Previous ArticleDo Animals Grieve the Loss of Another Animal Companion? Conversations with my BFF What Do Parents and Grandparents Do When They Disagree on Parenting?